The xplusalong phenom that has been all over Instagram is kind of rocking my world. 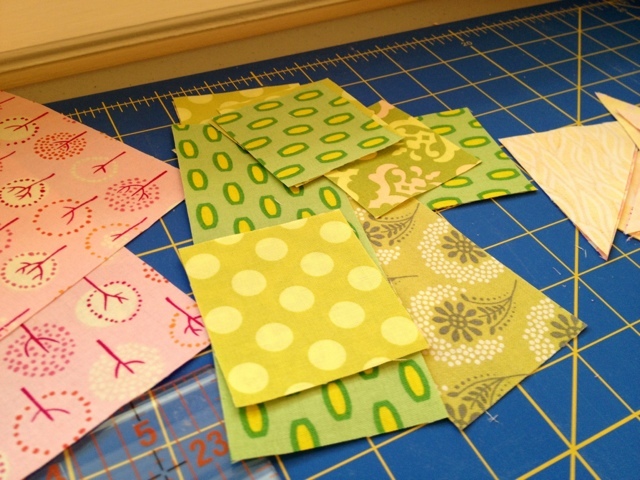 I resisted the scrappy trip along, but I succumbed to the allure of the xplusalong block. I was organizing my stash over the weekend (more on that later), and discovered that I have a LOT of pink. So I decided to use some of it to do a couple of these blocks. 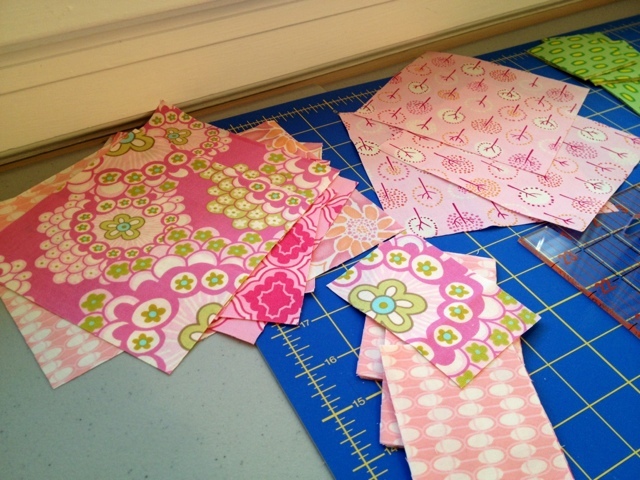 I tried to be cool like Holly at Bijou Lovely and cut all my fabric beforehand, but that backfired. I realized I didn't have enough yellow for the background, so right now I only have enough different prints for about five blocks. The color scheme is a little too strawberry shortcake for me at the moment, I think it might get a little overwhelming if the whole quilt looks like this, so I'm rethinking the colors. 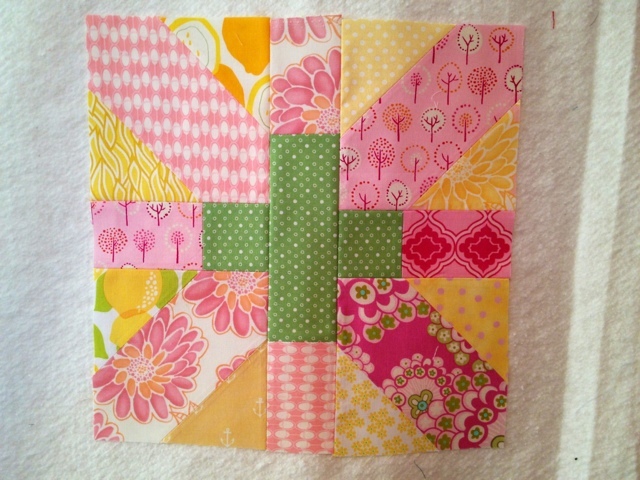 Here is the first block, which was way fun to make. I'm stoked about getting back in the studio to crank some more of these out! I love love love the x and plus quilts, and am really happy about the resurgence of it. :D Yours are fabulous, and I actually really like the color scheme. I'm so ready for Spring, and these colors bring it a little closer! Lovin' your block and can't wait to see more! Well, you could make a bedscarf with them if you wanted to stick with the yellow background...5 would look nice across the end of a bed! I really like the colours and prints, it's so bright and modern. this quilt design has been on my radar for so long it's a good thing I don't have instagram because I'd have to cave in. 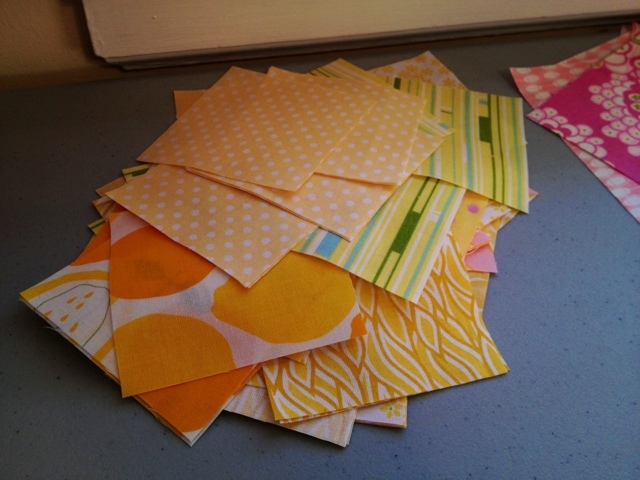 I do like them super scrappy and may ask for it when it's my turn to choose a block in my bee.